Ripe to be plucked for a screen adaptation, this mouth-watering debut novel - meticulously researched and crafted - raises the bar in contemporary and historical fiction coupling . . . Manning's eye for parallel characteristics of our protagonists is exquisite. 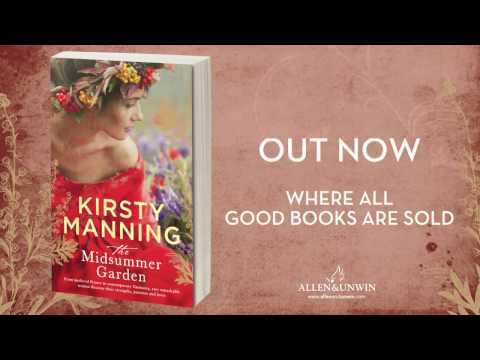 Given the passion of Kirsty Manning, the ease at which she slips into the quintessential lifestyle of the author, and with another novel in the works, there is no doubt The Midsummer Garden will not be the last we see of her. A satisfying read, bound to delight Kate Morton fans. In this gorgeous looking book … Manning writes deftly about the emotions associated with loving someone in a mature, engaging way … boy, did this book live up to expectations! A satisfying blend of contemporary and historical fiction, with each story compelling and well-wrought, and the links between the two intriguing. Themes of happiness, of family lore, relationships and self fulfillment are explored and food lovers will enjoy the culinary detail.